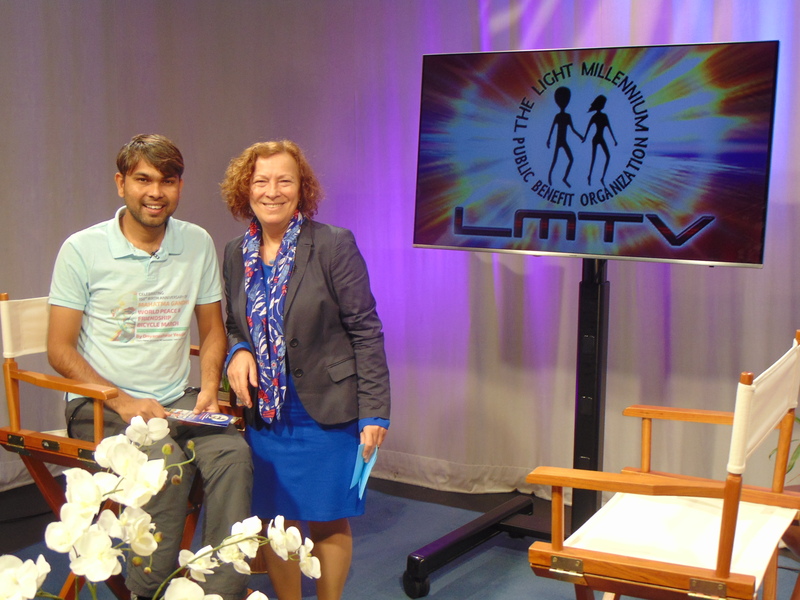 The Light Millennium Television | LMTV conducted an exclusive on-camera studio interview with Dnyaneshwar Yewatkar, the bicyclist and social activist from India based on his tour called, “World Friendship Bicycle March”. Dnyaneshwar (Dnyan, in short) has started his huge and noble journey to spread out the message and vision of Mahatma Gandhi to the world out of India in November 2016. Along with Gandhi’s message the core message of all great personalities like – nonviolence, truth, clean & peaceful society.